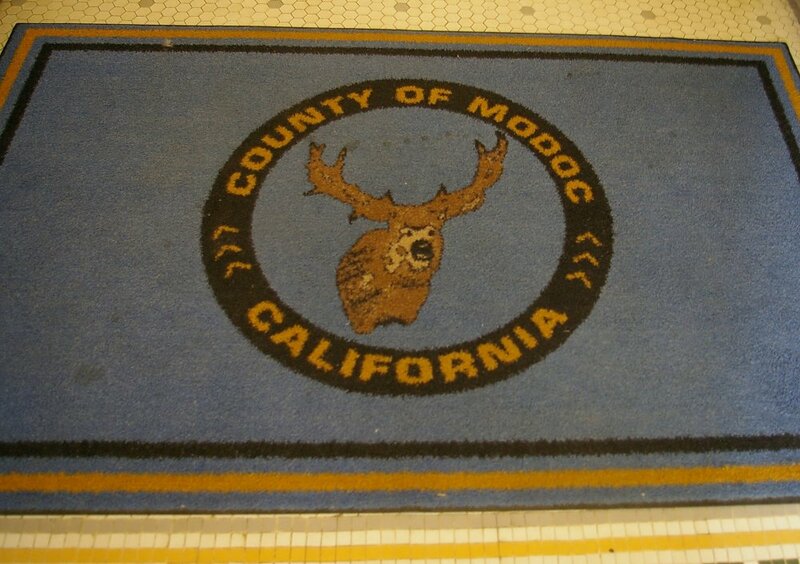 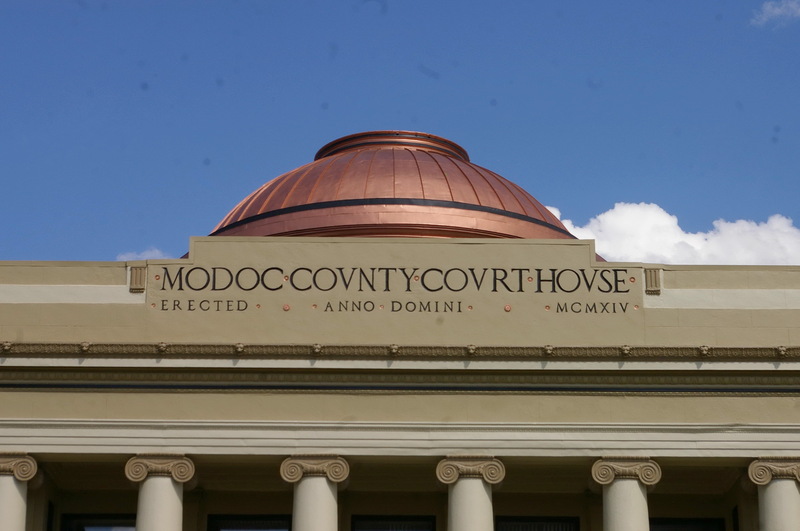 Modoc County is named for the Modoc Native American people. 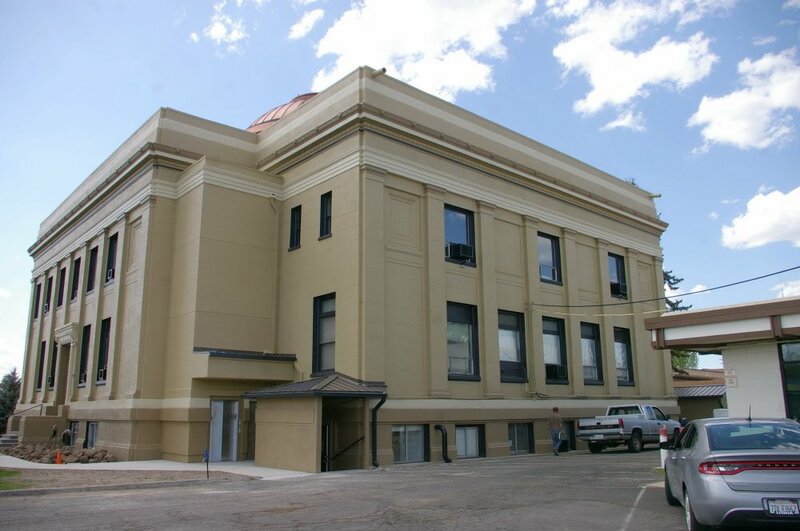 Description: The building faces west.and is a two story buff colored brick and concrete structure. 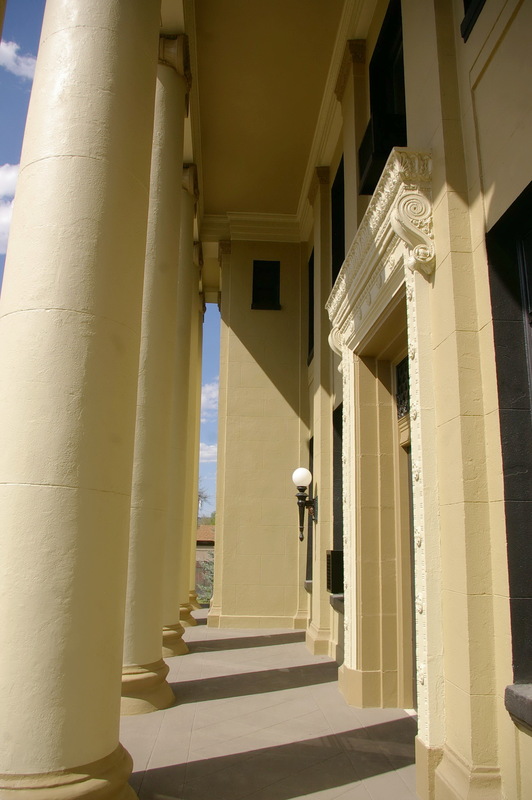 The building is located on spacious landscaped grounds. 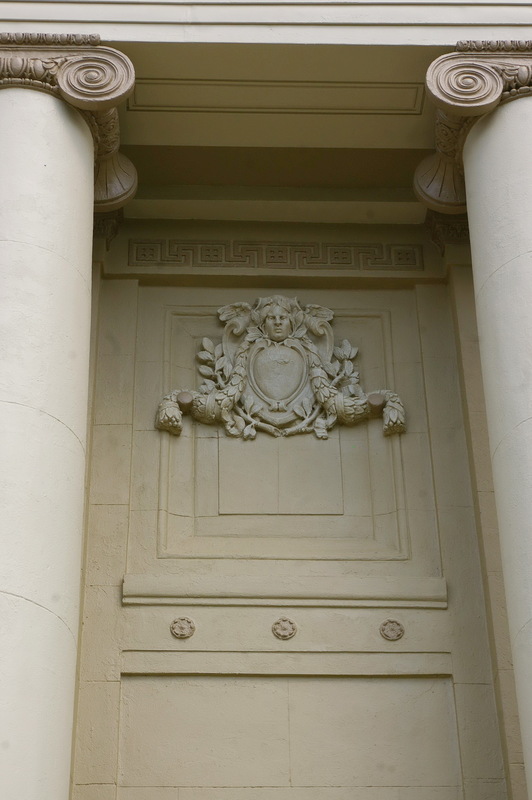 The west front has a set of wide steps with a colonnade of six columns with recessed entrance and wide header at the top. 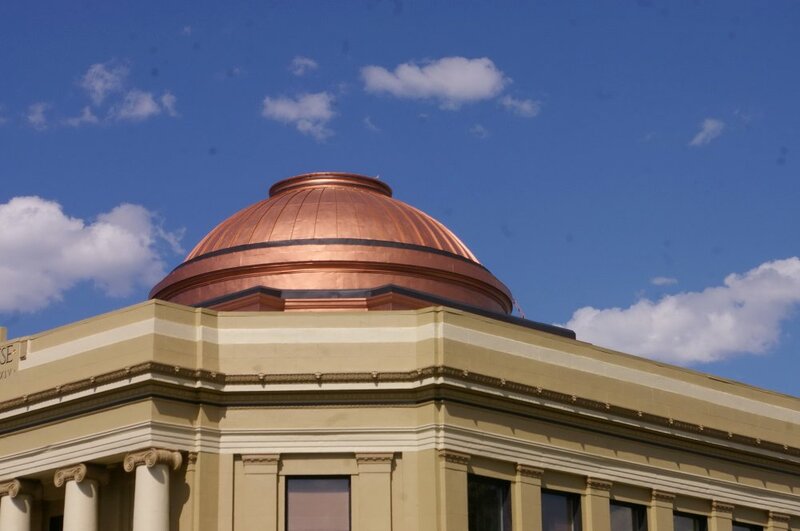 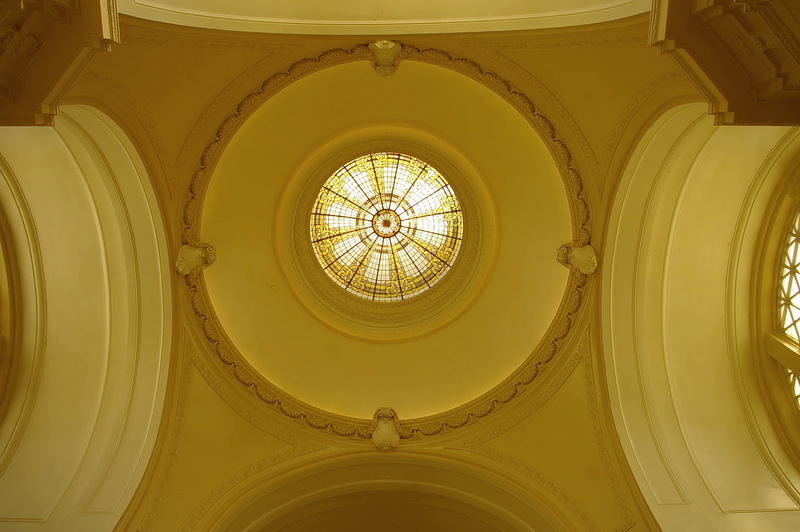 On the center of the roof is a copper colored dome. 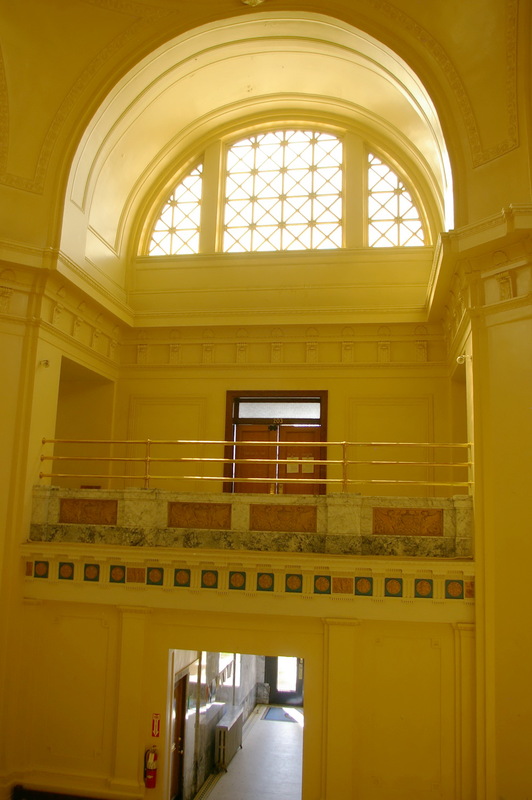 The interior has central staircase and high interior dome. Note: The courthouse constructed in 1883 by T B Reese was demolished. 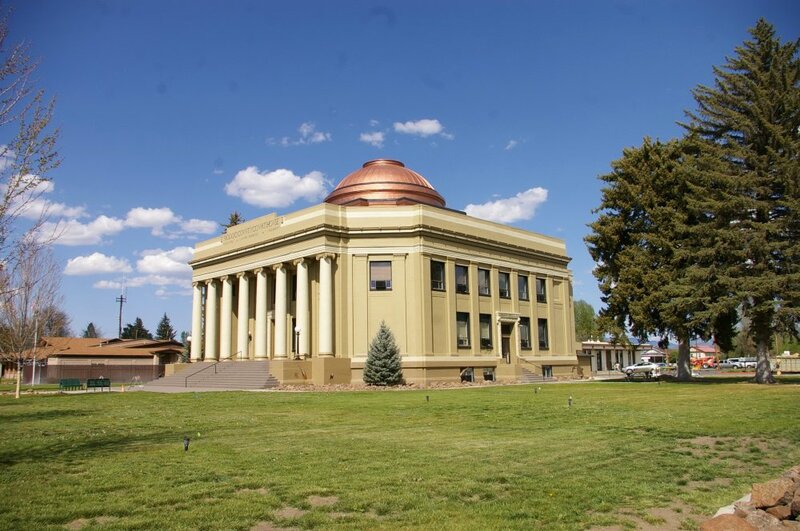 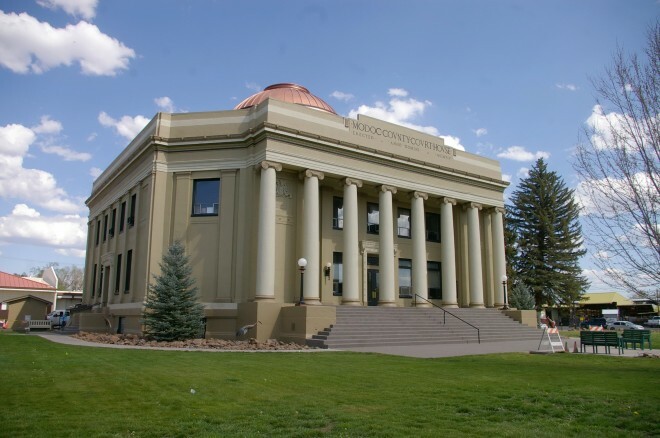 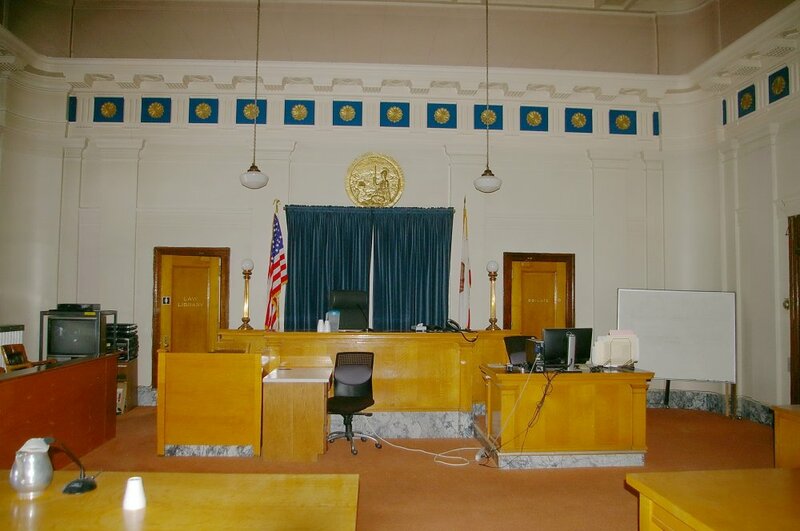 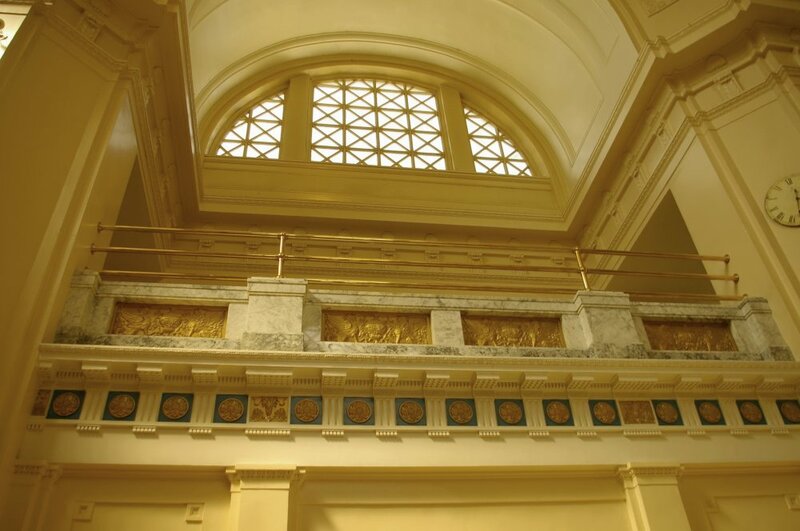 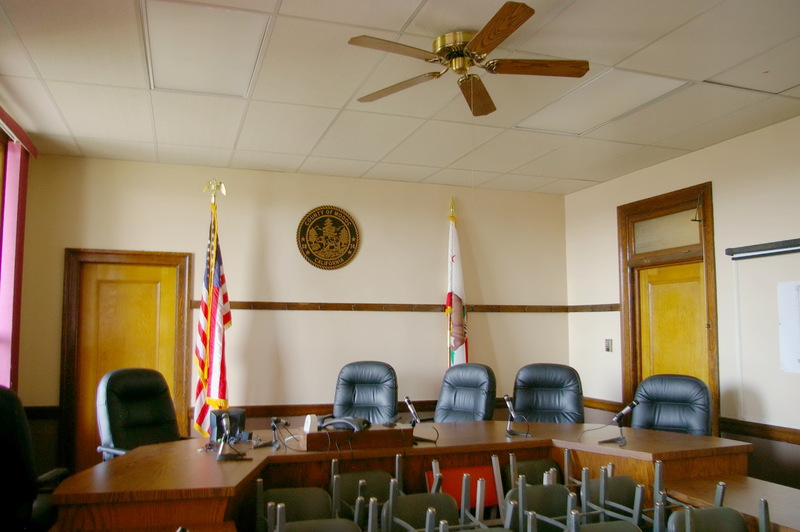 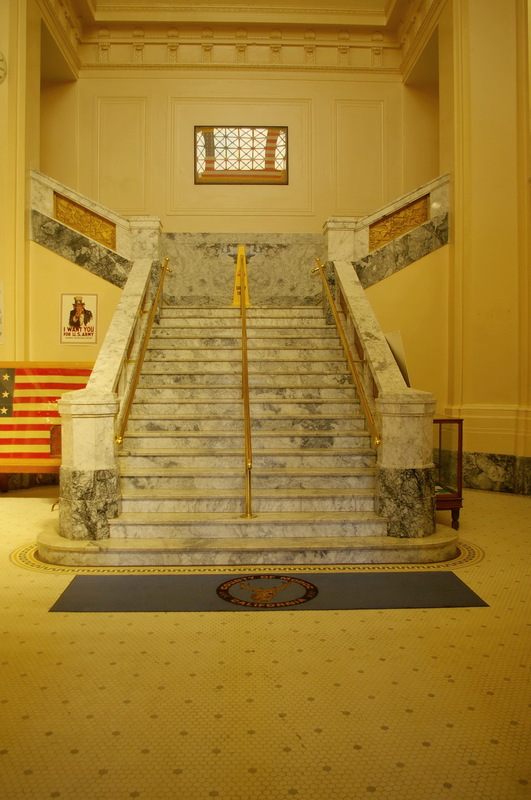 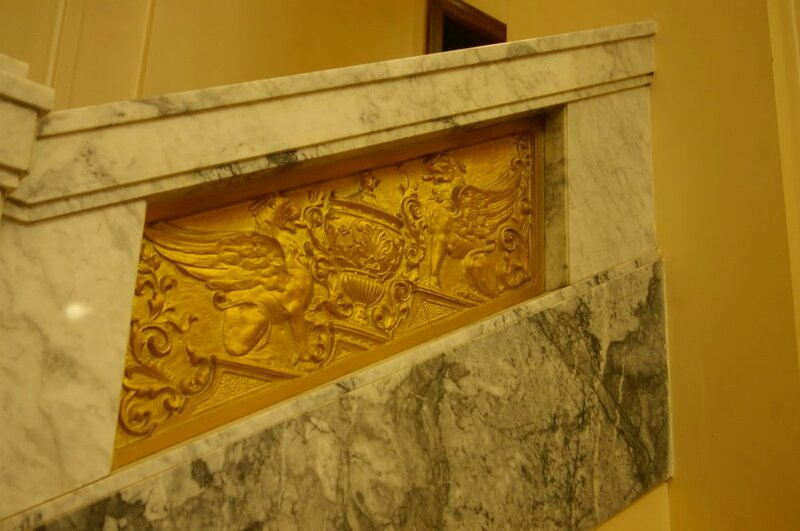 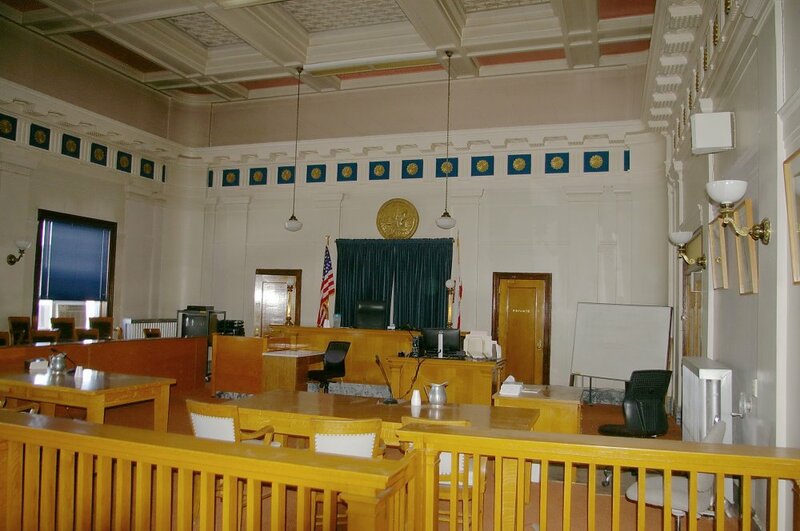 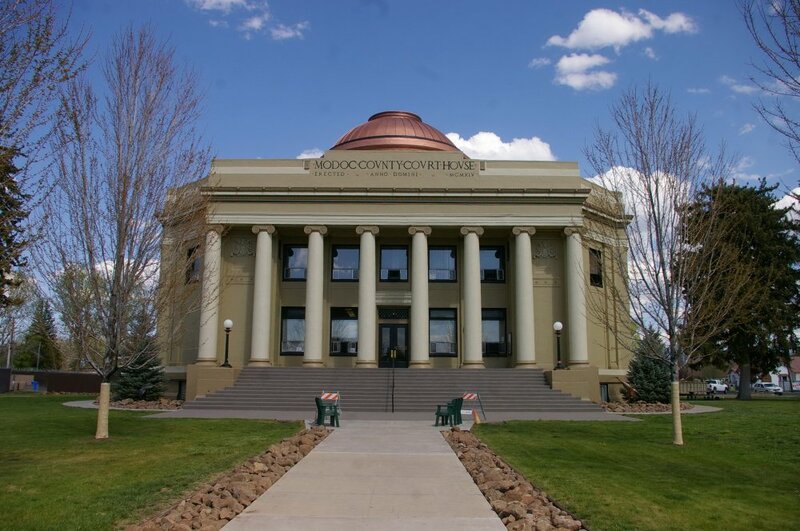 See: Frederic J DeLongchamps designed the courthouse in Alpine County and Nevada courthouses located in Carson City ( Ormsby County ), Douglas County, Humboldt County, Lander County, Lyon County, Perishing County and Washoe County.